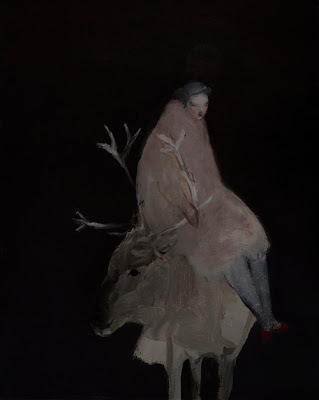 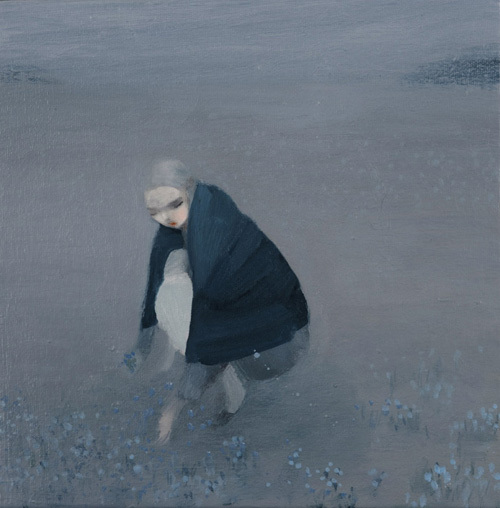 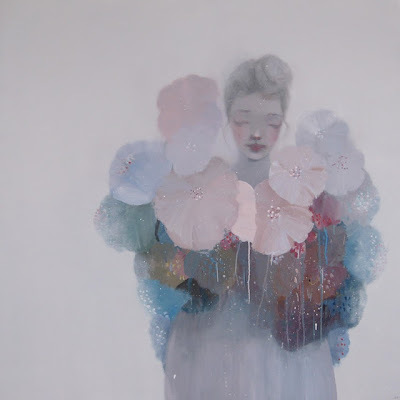 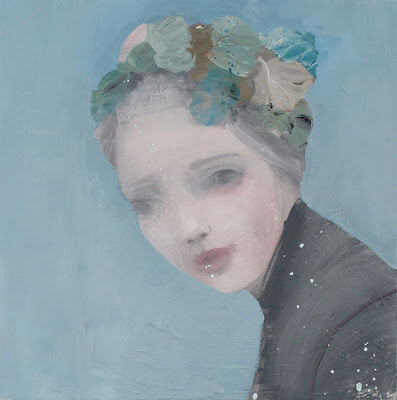 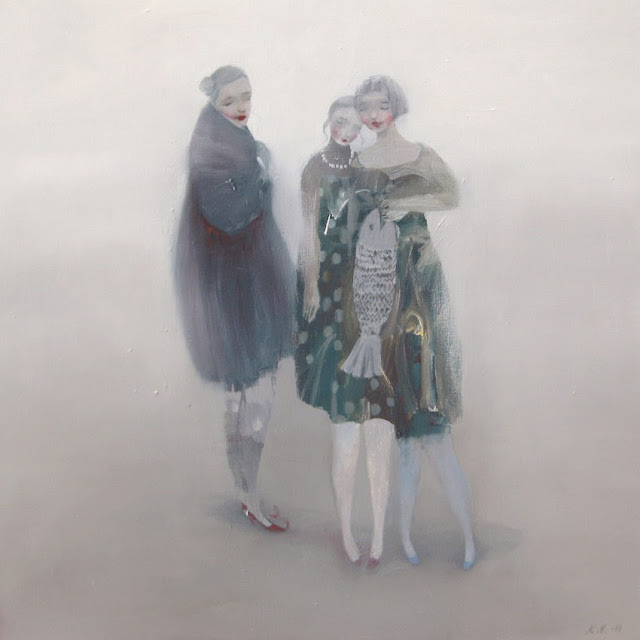 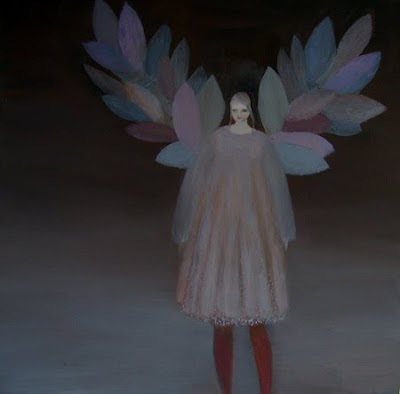 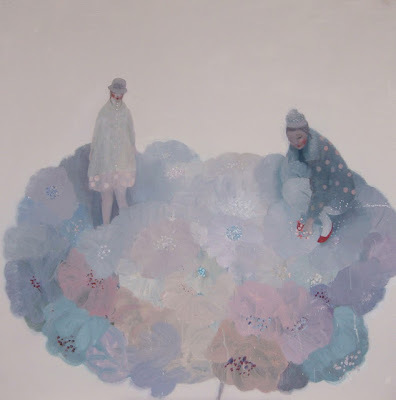 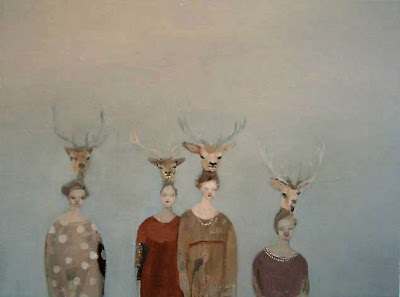 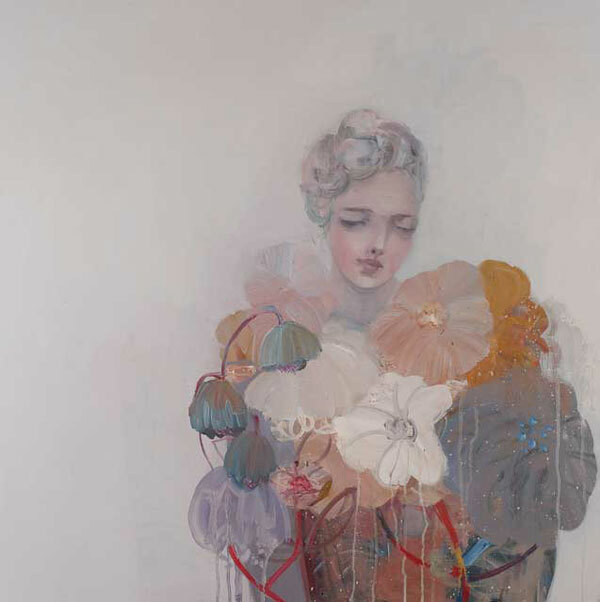 Of Norwegian origin, Kristin Vestgård studied for her degree at Falmouth College of Art. 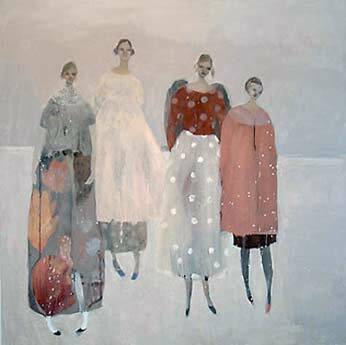 She sold all her paintings in her degree show, and Falmouth College of Art purchasing the biggest painting for their own collection. 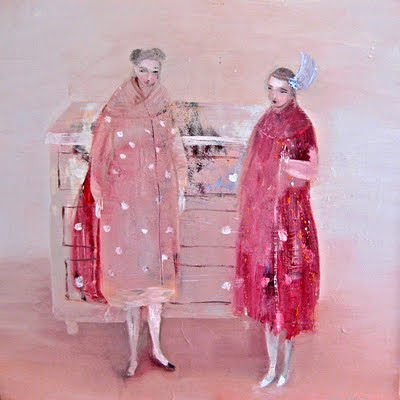 Stunned with her work, she also got invited to exhibit in galleries in London and Cornwall. 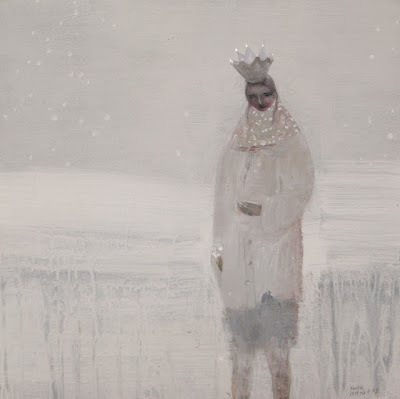 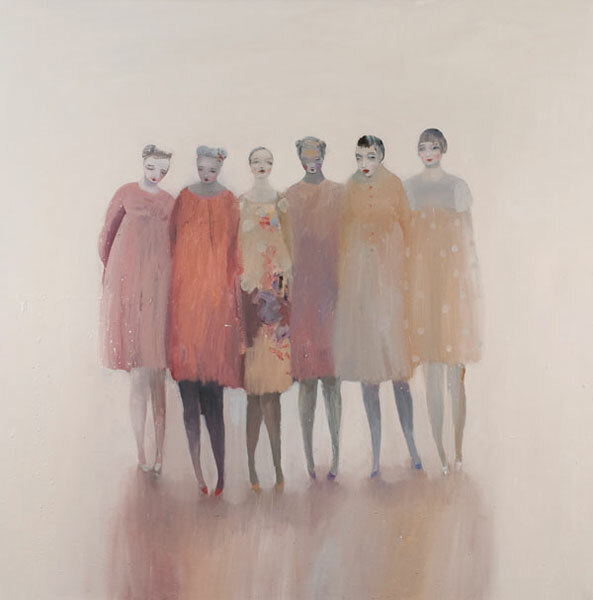 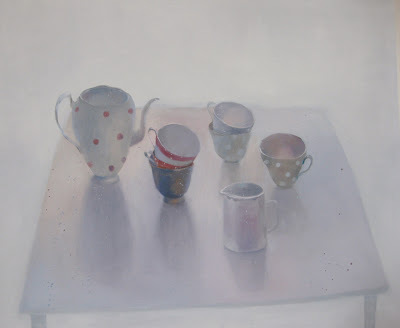 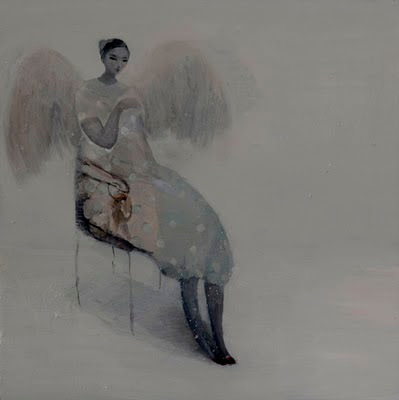 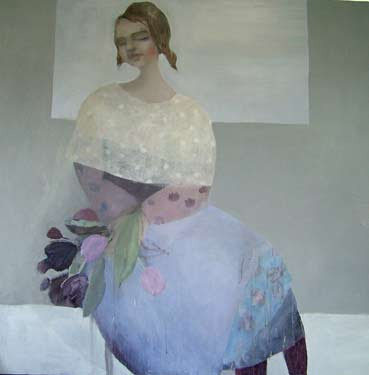 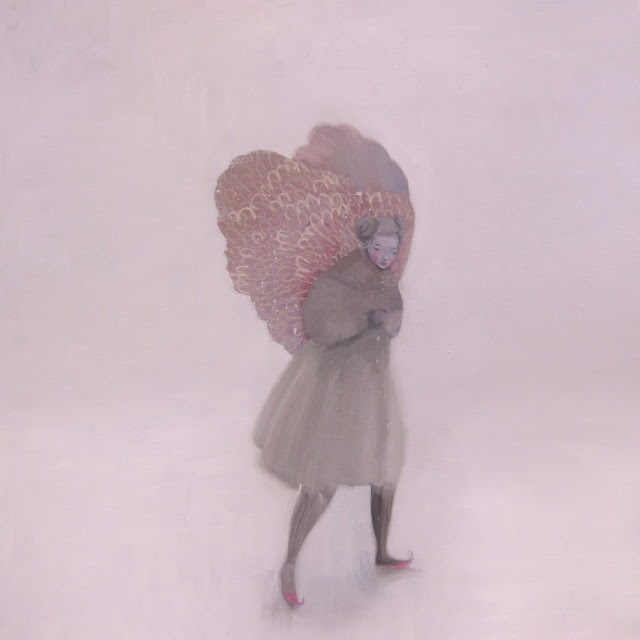 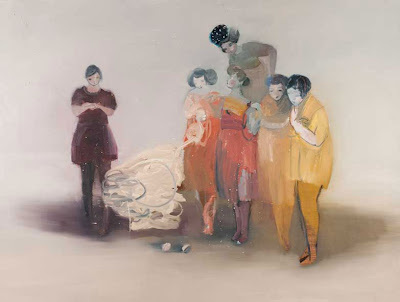 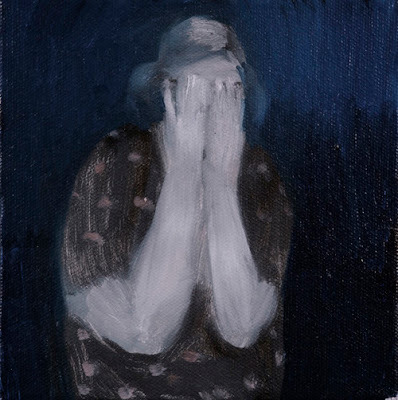 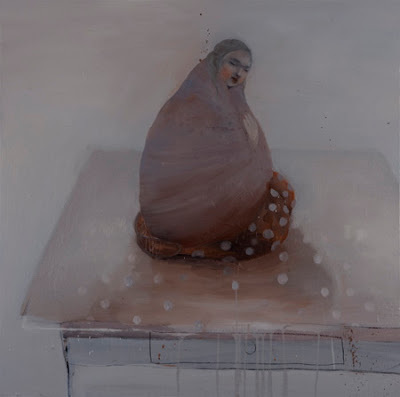 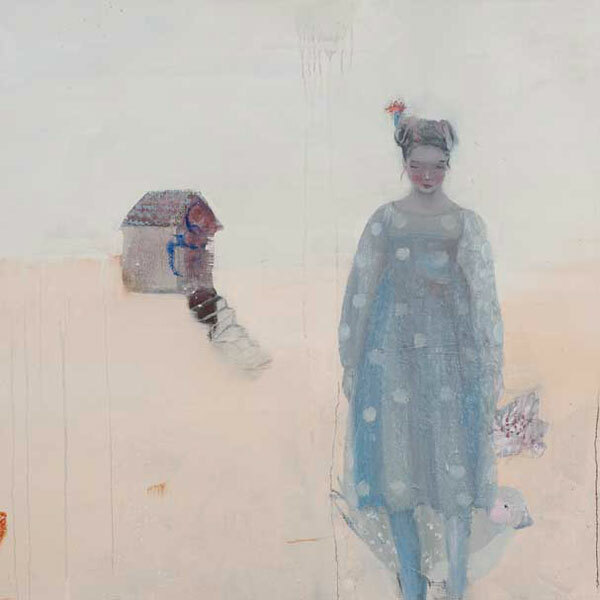 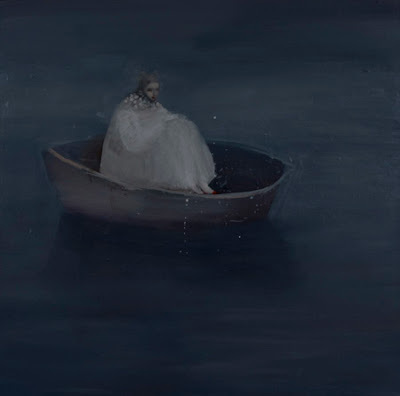 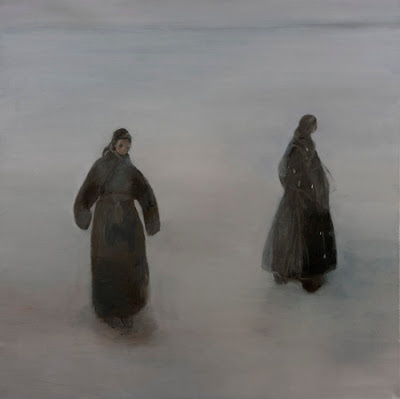 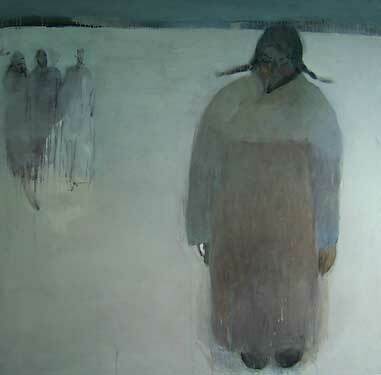 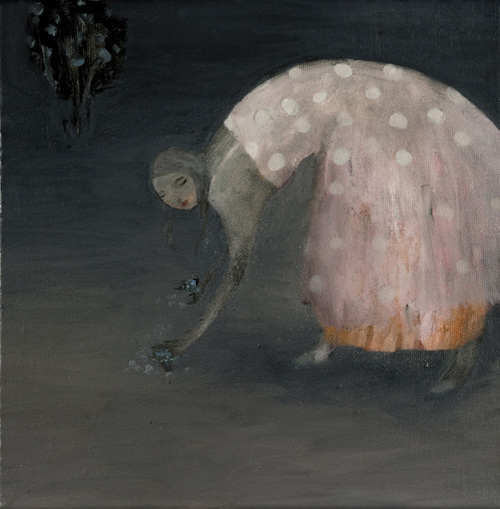 Since graduating from there she has exhibited in London on numerous occasions, from the city gallery to the Ted Litchfield Gallery, in her native Norway at the Kihle Gallery in Horten and of course at the Badcocks Gallery in Newlyn, Cornwall, where she held her fourth solo show in July 2004. Kristins exhibitions have always been received with great enthusiasm and her first show at Badcocks was a sell out. 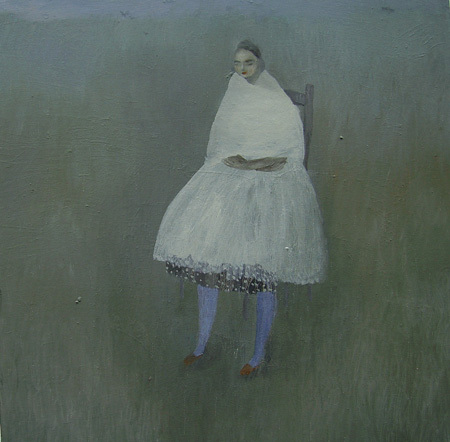 Her career as a serious and respected young artist is continuing to grow. Successful exhibitions is enabling Kristin to paint almost everyday. 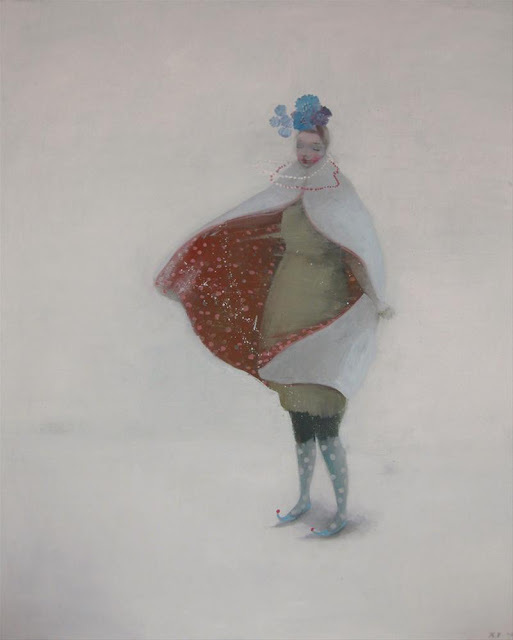 From her studio in Redruth, Treruffe Art Studios, Kristin is creating her world of quirky and poetic figures, shoes and cups and working with the spaces around the figures, telling peculiar stories. 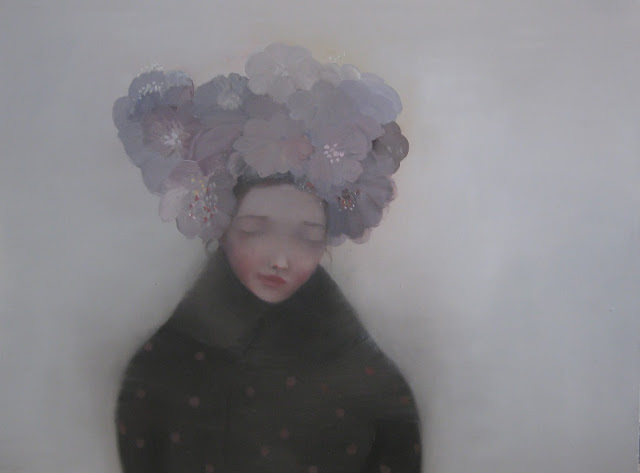 The paintings do not demand attention, they occupy their own space with a quiet dignity and beauty. 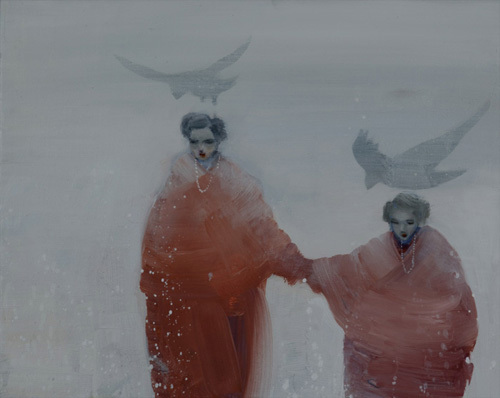 They are sensitive works that tell their own stories and hold their own emotions.